The Arrows strike at the most vital places in our hearts, the things we care most about. The deepest questions we ever ask are directly related to our hearts' greatest needs and the answers life gives us shape our images of ourselves, of life, and of God. Who am I? The Romance whispers that we are someone special, that our heart is good because it is made for someone good; the Arrows tell us we are a dime a dozen, worthless, even dark and twisted, dirty. Where is life to be found? 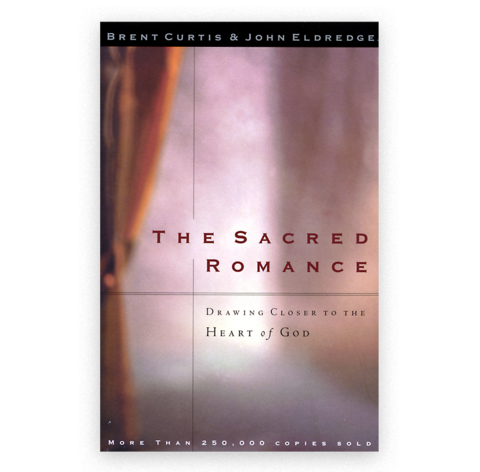 The Romance tells us life will flourish when we give it away in love and heroic sacrifice. The Arrows tell us that we must arrange for what little life there may be, manipulating our world and all the while watching our backs. "God is good," the Romance tells us. "You can release the wellbeing of your heart to him." The Arrows strike back, "Don't ever let life out of your control," and they seem to impale with such authority, unlike the gentle urges of the Romance, that in the end we are driven to find some way to contain them. The only way seems to be to kill our longing for the Romance, much in the same way we harden our heart to someone who hurts us. If I don't want so much, we believe, I won't be so vulnerable. Instead of dealing with the Arrows, we silence the longing. That seems to be our only hope. And so we lose heart. Which is the truer message? If we try to hang on to the Romance, what are we to do with our wounds and the awful tragedies of life? How can we keep our heart alive in the face of such deadly Arrows? How many losses can a heart take? If we deny the wounds or try to minimize them, we deny a part of our heart and end up living a shallow optimism that frequently becomes a demand that the world be better than it is. On the other hand, if we embrace the Arrows as the final word on life, we despair, which is another way to lose heart. To lose hope has the same effect on our heart as it would be to stop breathing.